I touch on capresso coffee machine briefly when writing about thermal coffee makers , on how important it is to have drip coffee makers with thermal capability. Here, I would like to further highlight to you Capresso MT 500 ability in bringing to you a great cup of coffee. Capresso is pretty bent on capturing the drip filter coffee maker market share, so at any one time, there would be between 4-6 capresso coffee machine targeting consumers looking for drip coffee. Similar to brewing great espresso at the brew head temperature of 220 F, one would get excellent coffee from a drip coffee maker at between 195 F. However, while all drip coffee makers boast of this capability, there are only a few that can effectively deliver this brew temperature. Most drip machine can only reach 185 F, and of course there are a few "heroes" that exceed our expectations and went beyond 200 F to burn the coffee! So, if you have a coffee machine that can deliver the brew temperature at the recommended temperature of 195 F, you are assured of good coffee. However, don't you think it is a waste if you would to make a full pot of good coffee and minutes later, it goes stale? Perfect brew temperature and air-tight vacuum thermal carafe, are 2 "special" elements that I felt would make the Capresso MT 500, one of the best coffee makers around. And it doesn't stop there, this capresso coffee machine functions reads like a pilot flight test check. I would not go into the buttons and the programmable functions, but I would like to highlight the heating element. We all know that having food and drink touching aluminum is not good for the body, and capresso seems to agreed with that. 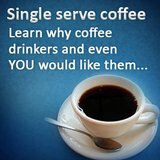 Because they market themselves as the only coffee maker in the market with a stainless steel lined heating element. This eliminates any contact with aluminum, improving the safety aspect of drinking coffee. Let's run through the special elements: it brew at right temperature, it keeps coffee fresh for a long time and you are assured of food safety by them. So, I think I am not too biased to list this capresso coffee machine, MT 500 as one of the best drip coffee maker around, right? 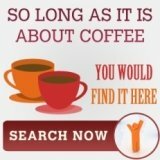 Take a look at other coffee makers? 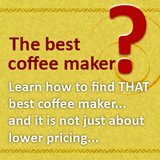 If you are looking for an easy to use and affordable coffee maker (who isn't? 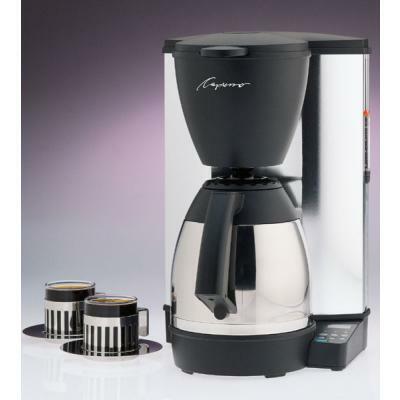 ), then you have to know about the capresso mt500 coffee maker. Jura-capresso ENA4 has many capabilities but I guess the one that means the most to us would be its one button brew. It does everything from grind to brew with just one button. A well liked capresso drip coffee maker (402.01) is hard to find, but there is a capresso coffee machine that is poised to take it place, maybe even perform better. 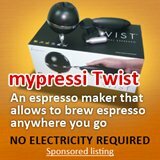 Have A Great Story About Capresso Coffee Machine? Do you have a great story about Capresso Coffee Machine? Share it!